In the face of strenuous resistance from law enforcement groups, a California Assembly committee has amended a bill multiple times to allow police officers in most cities to review body camera footage before detailing incidents involving force. According to The Sacramento Bee, it took considerable maneuvering to advance Assembly Bill 66 out of the Assembly Privacy and Consumer Protection Committee. Every Republican on the committee abstained in the vote, and supporters had to scramble to persuade Assemblyman Evan Low, D-Campbell, who had voted for the bill in a previous committee, to switch to the deciding “yes” vote. 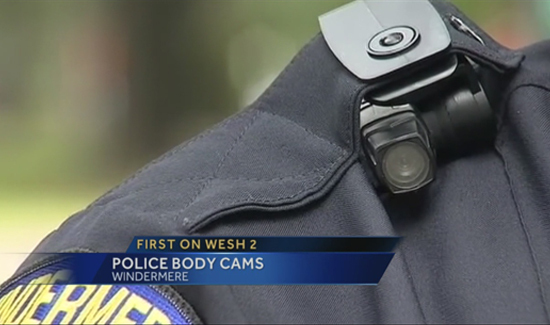 A fter initially changing the bill so local departments could decide when officers view footage, Assemblywoman Shirley Weber, D-San Diego, accepted another amendment saying officers can always view footage first, with an exemption for cities like Oakland that already have policies requiring officers to give reports before viewing footage. At the heart of the dispute was AB 66’s provision requiring officers to give initial statements about incidents involving lethal force before they can view body camera footage. Proponents said that would build trust in communities where many people believe officers tailor incident reports to shield themselves from consequences. “We believe the public has more faith in the process if the officer doesn’t watch the video prior,” Oakland Police Chief Sean Whent said. But numerous law enforcement officers and lobbyists castigated the rule, saying it would deny officers an important tool for verifying what had happened in incidents that often unfold rapidly and chaotically.